Threatened with dismissal when their company was taken over by Borr Drilling, a deputation of Paragon staff from Beverwijk (NL) held a demonstration on 26 July in front of the Borr Drilling office in Aberdeen, Scotland. 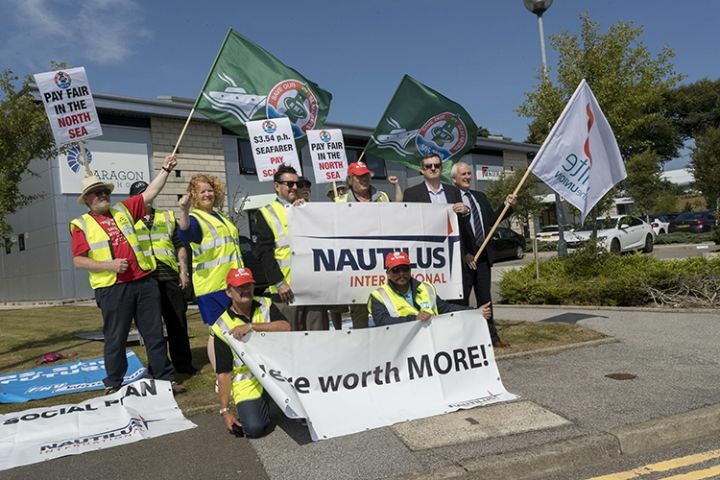 The demonstration was a joint action of Nautilus International, RMT, Unite and FNV. The protesting unions sought to hand over a petition with signatures to Borr Drilling’s director North Sea Darren Sutherland. They demand a good social plan.